We've been having several workshops going on this month, last week we held a private workshop for a construction company from South Korea. 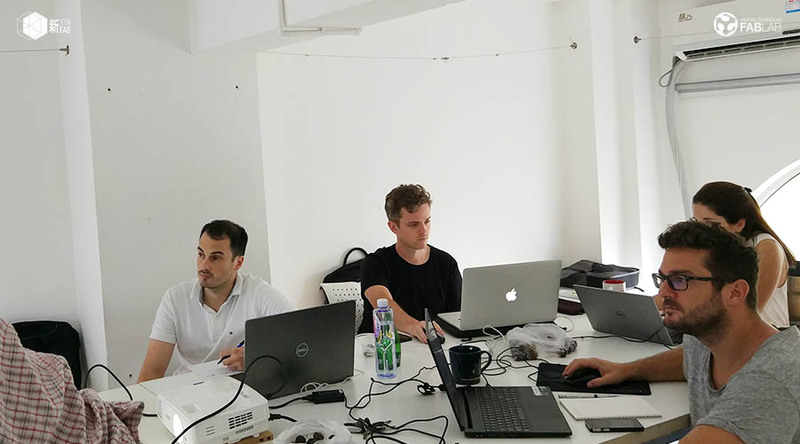 The seminar was held at XinFab, taught by an experienced Industrial Designer and Maker, Danny Kuo. 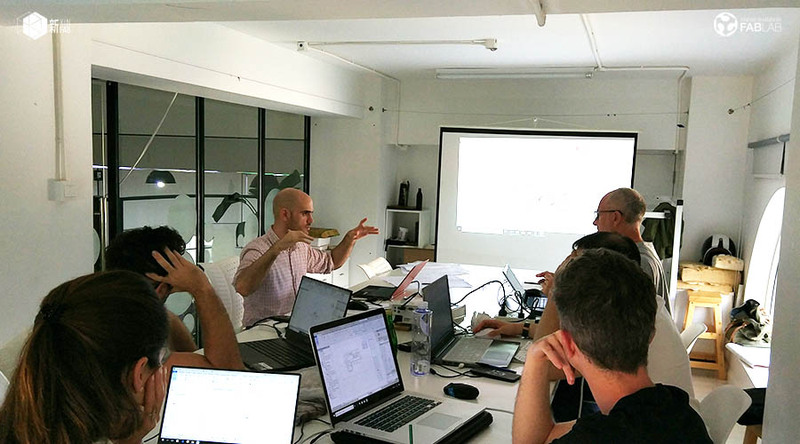 The purpose of this one-day course was to provide the team a solid understanding about Digital Fabrication in specific about 3D Printing (Fused deposition modeling) and Laser cutting, plus hands-on activities on how to use and set up both 3D Printing and Laser cutting machines. XinFab offers on-demand workshops, varying from half-day workshops to long-term workshops. 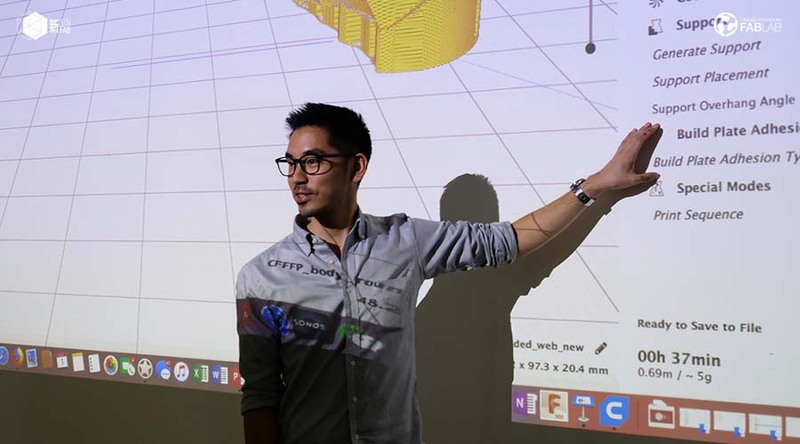 With the focus on educating students about creativity, technology, software, innovation and production methods like 3D Printing, laser cutting, and CNC milling. Check out some of the works we did at the last two laser training workshops we did. This is a great training for everyone who wants to become a new XinFabber! 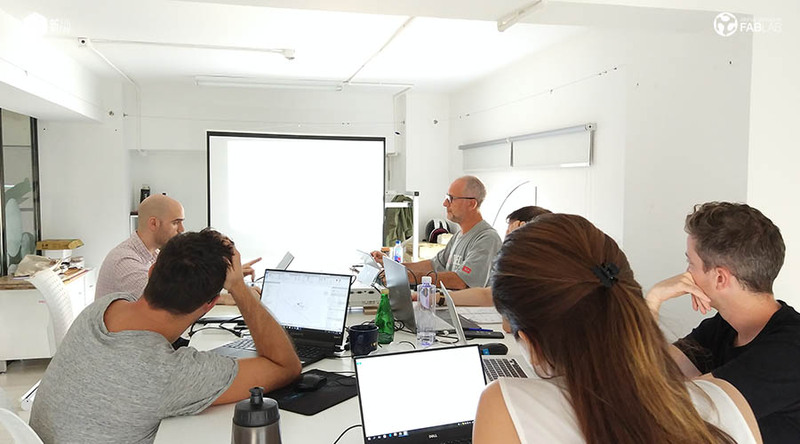 Last July we did a 4-day intensive course of Revit Architecture beginners level, taught by experienced Architect Alexandros Economou. Here are some photos of the workshop! Here are some photos of the past Intro Trainig we did of Cura and 3D printing, check out what the students did! Due to holidays we have limited opening hours till the 28th of August . If you want to come visit the space or use the machines please sent us an email. * Please have Adobe Illustrator (free trial works too!) installed on your laptop! Workshop: June 12th，Lasercut Your Own Earrings! 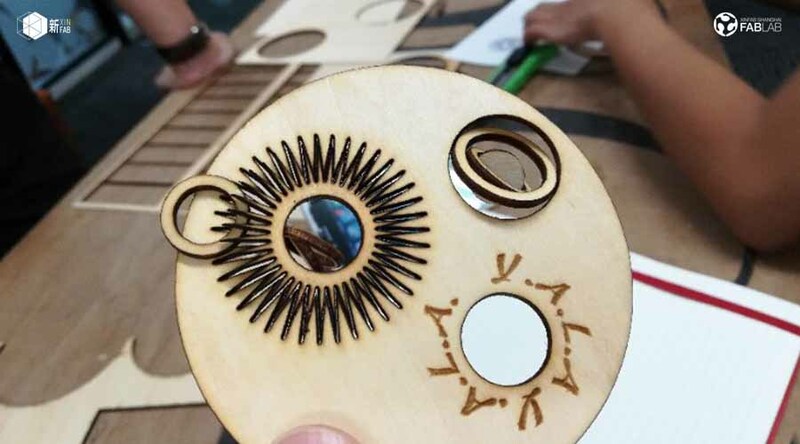 In this workshop, you will learn how to lasercut a pair of earrings (made out of wood). If you have no vector design experience and/or laser cutting experience, that's okay! If you do have experience with vector design, you'll be able to create more intricate earrings designs. * Workshop participants will assemble their own Quadcopter frame and solder wires together. *Disclaimer: We are not flight instructors. :) It's the responsibility of the workshop attendee to learn how to fly the Quadcopter and follow local laws. We'll test the Quadcopter indoors only to verify your assembly and parts. Lucio is the founder of Xinfab. 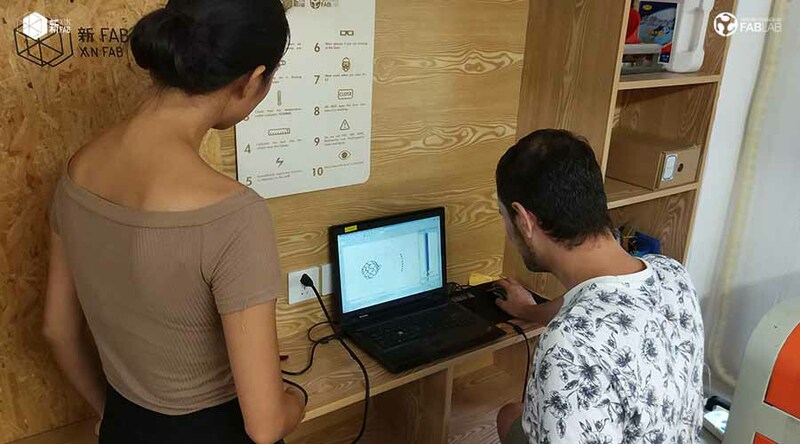 He moved from Brazil to Shanghai four years ago and found the fablab, though he now lives in Portugal with his wife and three kids. He is an all around maker, but specializes in 3D printers. He is the heart and soul of Xinfab. Workshop: April 30th，Sketchup 3D Modeling - Rapid Prototyping! ◆ Cut the fabric with laser cutter. ◆ Introduction to the tools and functions. ◆ Practice building some models. - Your passion, curiosity, and questions. Workshop: March 12th，DIY Leather Cases! Upcoming Workshop: DIY Leather Cases! White Valentine is coming soon! If you haven’t bought your valentine gifts yet, join our DIY workshop to design and make your own leather case! In XinFab, you can use laser cutter to cut patterns or write letters - everything is possible here! *We will provide the black PU leather and string shown in the picture above for free. Please make reservations at your earliest convenience so we can prepare the material for you! ◆ Choose the size and the design and the position of holes for your case with Adobe Illustrator under the guidance of XinFab’s staff. ◆ Thread the leather string through holes to fix the case.Thread the leather string through holes to fix the case. Spring festival workshop!! February 9th， Quadcopter workshop! It's not a bird, it's not a plane....it's a Quadcopter!!! In this workshop, you'll buiild your very own Quadcopter drone. Workshop participants will assemble their own Quadcopter frame and solder wires together. 2015 Jan. 3rd, New Year Creation Party !! With the New Year coming, XinCheJian and XinFab is hosting the 2016 New Year Creation Party to thank all the support we got from previous year. The party is combined with four parts below. Attendees can choose parts they want to attend. This part we will share part of our members projects. You will have chance to observe a silicon chip under microscop, experience Stary skateboard and Wearhous Arc headphone. You can also look into the hydroponic system, CNC and a portable 3D printer built by our members. At the same time, we offer chips, fruit, beer and other drinks to you. Besides that, everyone that attends the party will receive a gift. Don’t miss this! Dec. 12-13th， Make Your Own portable 3D Printer in 2 Days! Make Your Own 3D Printer in 2 Days! When: Saturday 12/12, from 9:00 - 19:00 AND Sunday 12/13, from 9:00 - until it's finished!! Have you ever thought about building your own 3D printer but you don't know how to get started? 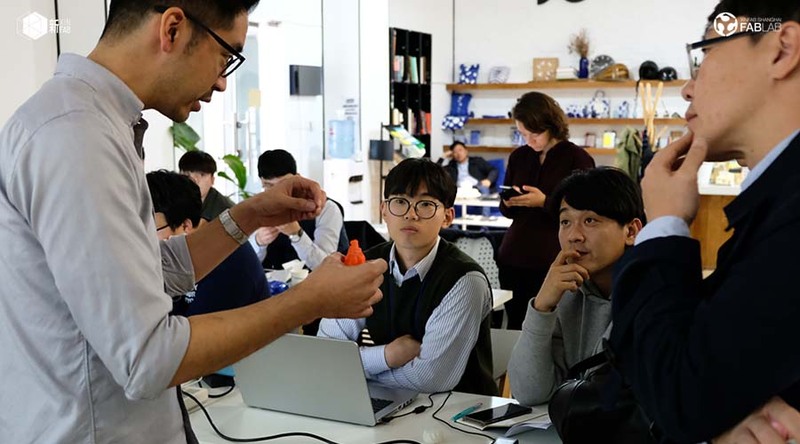 In this weekend workshop you will build a portable 3D printer and learn the basics of 3D printing with Lucio (鲁修), the founder of FabLab XinFab! We need to prepare the 3D printer kits beforehand, so please pre-register by WeChat or in-person at Xinfab. The deadline for pre-registration is December 10th by 2pm. The maximum capacity for the workshop is 10 - we can't guarantee you a spot if you don't pre-register! The workshop will be taught by two teachers and is limited to ten participants. Over the course of two days (Saturday and Sunday from 9:00AM until 7:00PM), you will assemble a portable 3D printer and learn about 3D printing. The printer is designed to be portable, strong, and easy to expand in functionality, as well as quick to assemble and commission. After the workshop, you will leave owning one a portable 3D printer and become a 3D printing leader in your district, youth center, small business, or basement! 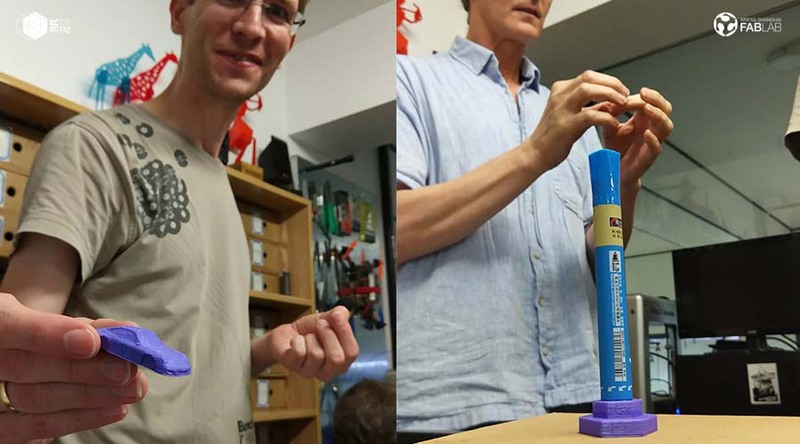 This workshop is a unique chance to become a self sufficient 3D printing master in just two days. 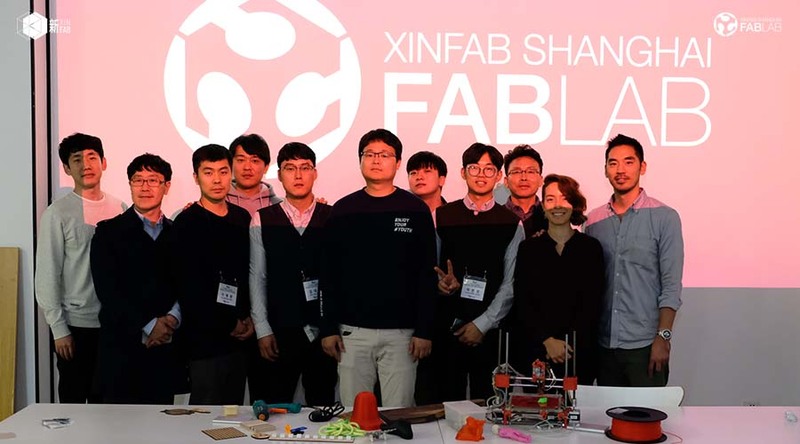 You will also receive a 1 month membership voucher for Xinfab after the workshop, so you can use any of our 3D printers, laser cutters and CNC after the workshop. That way, you will be able to laser cut or 3D print expansion parts to improve and maintain of your 3D printer! Worksop participants will assemble their own Quadcopter frame and solder wires together. **Because we have to order drone parts ahead of time, you MUST pre-pay by December 3rd or you'll lose your spot! 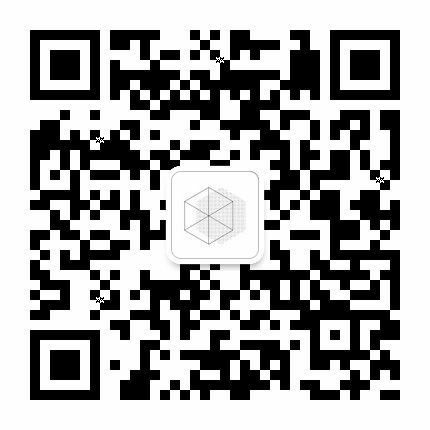 ** U can pay by wechat (scan our wechat qr code here in the top right corner), alipay ([email protected]) or just stop by at the lab and pay with cash. Nov. 22， Intro to Programming! In this workshop, you'll learn basic programming skills and create vector designs using Processing (a Java-based language). You'll also get an overview of the lasercutter and engrave your design into wood. - Some JPG images on a USB or laptop. 2. Learn how to operate the lasercutter and the lasercutter software. This weekend is the SHANGHAI MAKER CARNIVAL! This is a yearly celebration of maker culture where different companies and organizations (ex: Xinfab) come together and showcase projects, teach workshops, and more. Come visit our booth! For more information about the Shanghai Maker Carnival, click here. Because we will be at the maker carnival there are limited opening hours at xinfab itself, if you want to come and work please sent us a message by email to confirm. Sept. 29 - Oct. 10 limited opening hours at Xinfab! Due to National day from Oct 1 till 7 and staff holidays we will have limited opening hours from Sept 29 - Oct. 10. Sept 26th, DIY四轴飞行器 Racing Quadcopter Workshop with Lucio! - Learn how to make candles with Sean! In this workshop, you can make up to three candles (and take them home!). - Lasercutter workshop! earrings for the boys and stamps for the girls!! 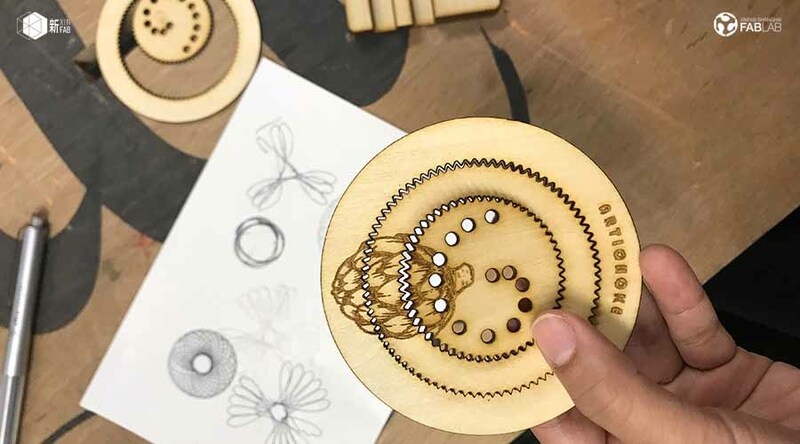 In this workshop, you will learn how to laser cut either a pair of earrings or your own stamp (both made out of wood). If you have no vector design experience and/or laser cutting experience, that's okay! If you do have experience with vector design, you'll be able to create more intricate earrings or stamp designs. *If you plan on making earrings, please have Adobe Illustrator (free trial works too!) installed on your laptop! So if you want to celebrate victory day and eat some pancakes sent us an email to sign up or go to our wechat account xin_fab. Sept 5th, 12:00 - Celebrate Chinese Victory day w/a Laser Engraved Pancake Lunch!! In celebration of the new holiday on September 3rd (as proclaimed by the Chinese gov't), we will have a Dutch/Chinese Pancake Lunch on Saturday Sept. 5th at 12:00!! 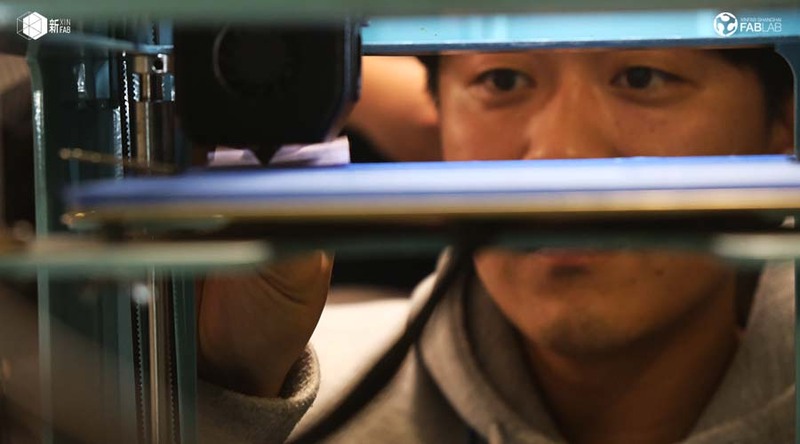 Danny, who is not the best cook but will do his best at being a good host, will engrave his, probably delicious, pancakes using Xinfab's laser cutter and serve to everyone who is hungry!! Come early if you want to experiment with the laser cutter and pancakes! Feel free to bring something for the pancakes and/or just contact us if you have any suggestions! Click here for more information on this random holiday (marking the 70th anniversary of Japan's defeat in WWII and victory in the 'World Anti-Fascist' War). Saturday 22nd August, 14:00-16:00 there is a beginner level illustrator - lasercutter workshop with Danny Kuo! So if you are interested in learning the basics of Illustrator and lasercutting sent us an email to sign up or go to our wechat account xin_fab. Please bring your laptop with illustratorinstalled on it. Workshop fee is 200 rmb for non-members and 150 rmb for xinfab/xinchejian members. 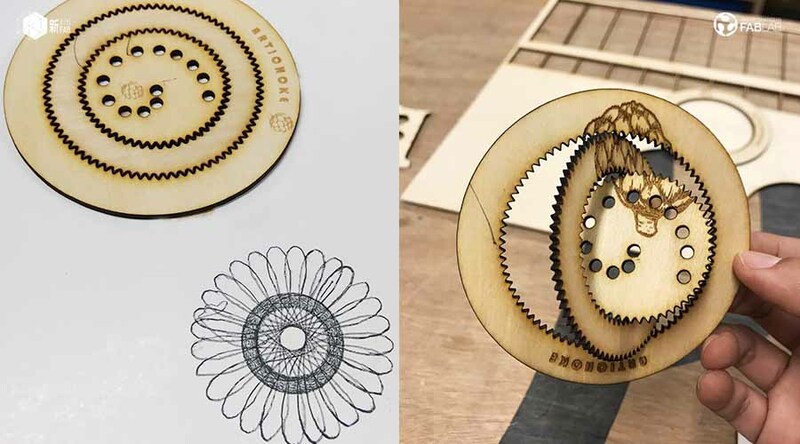 Saturday August 8th, lasercutter workshop with Eva & Laura! 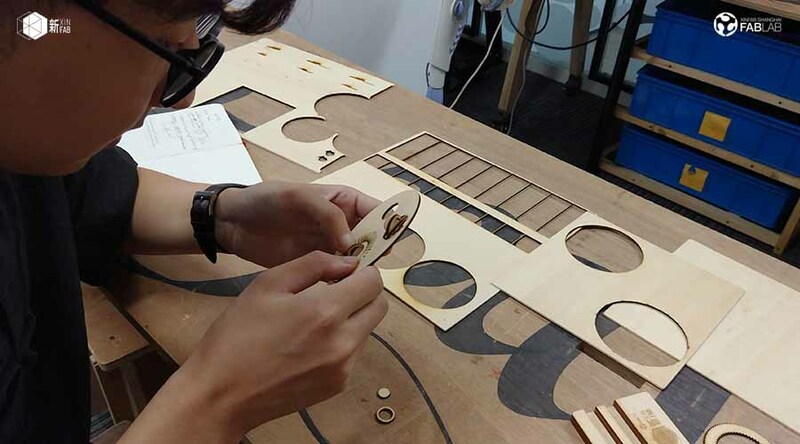 Saturday 8th August, 14:00-16:00 there is a beginner level lasercutter workshop with Eva Xiao (freelance writer) and Laura Loria (Italian designer)! So if you are interested in learning the basics of lasercutting sent us an email to sign up or go to our wechat account xin_fab. 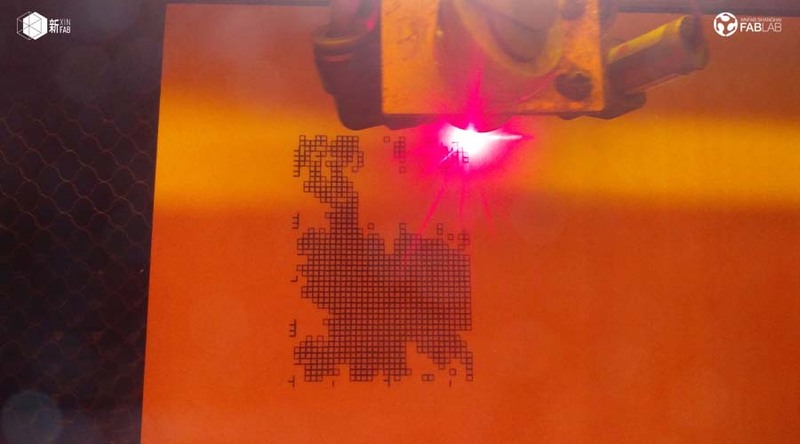 Learn how to use the lasercutter! in this workshop, you will engrave and cut your wechat QR code into wood (ant take it home. No previosu experience is necessary! Please bring your phone with wechat installed on it. Sunday 2nd August, 14:00 there is a beginner cnc workshop with volunteer Mark Scully! So if you are interested in learning the basics of cnc milling sent us an email to sign up or go to our wechat account xin_fab. Please bring your computer with Solidworks (non free software) and hsm express (free software), if possible. Workshop fee is 200 rmb for non-members and 150 rmb for xinfab/xinchejian members. 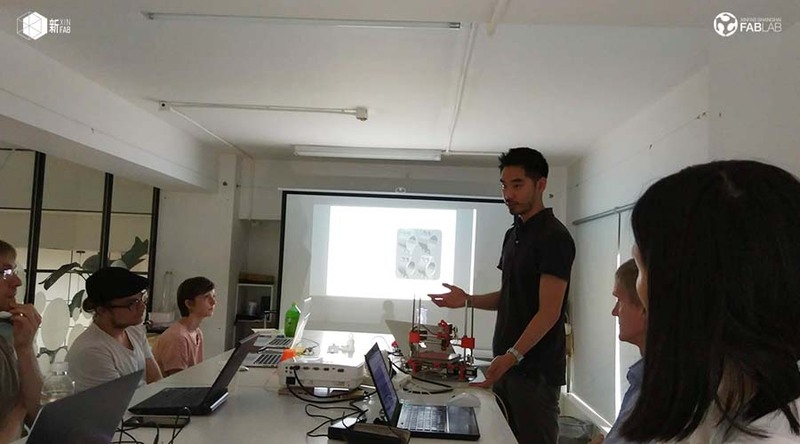 Saturday 25 July, 3d printing workshop with Sean!! 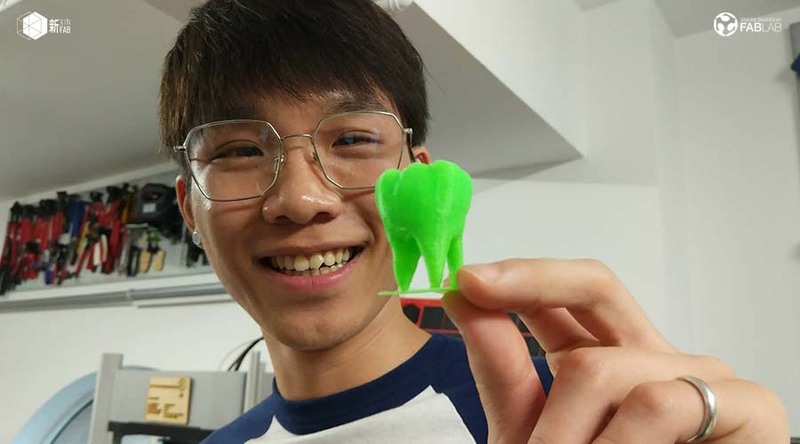 Saturday 25 July, 14:00 there will be a 3D printing workshop with xinfab staffmember Sean! So if you are interested in 3d printing sent us an email to sign up or go to our wechat account xin_fab. The workshop will show the process of 3d printing, like using the machine, changing fillament, cleaning the bed and nozzle, slicing your model with cura or repetier and adjusting settings in Cura and how that will result in your 3d print. Please bring your computer and download Cura before you come to the workshop! 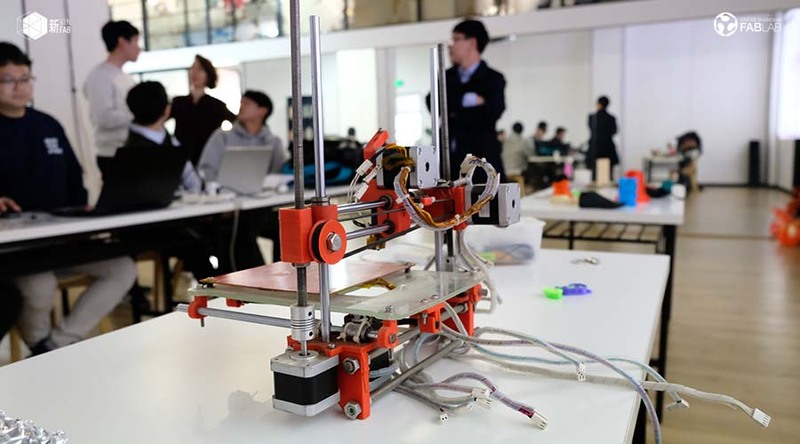 Workshop fee is 250 rmb for non-members and 200 rmb for xinfab/xinchejian members, which includes a small 3d print that you can make during the workshop. This Saturday 18 July, 14:00 there will be a sketchup workshop including 3d printing with Danny. So if you are interested in Sketchup or 3d printing sent us an email to sign up. You can also only participate in the Sketchup or only in the 3d printing workshop. Workshop fee is 250 rmb for non-members and 250 for xinchejian and xinfab members, it includes a small 3d print of your own drawing. Please download a google sketchup version on your laptop and bring it to the workshop! Next weekend, sunday 21 June 14:00, There will be a drone workshop with Lucio! come and sign up if you want your own built carbon fibre racing drone! 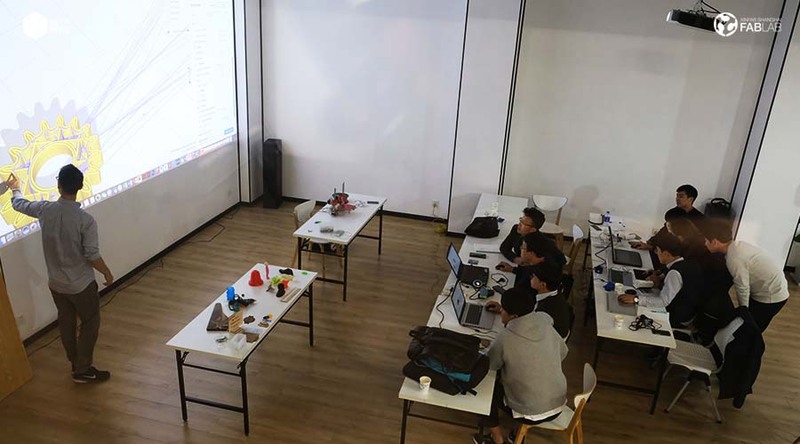 Saturday 30 May 14:00, there will be a 3d printing workshop with Lucio, he will talk about setting up gcode for repetier and cura, how to download objects from thingiverse and how to use the 3d printers at Xinfab, come and sign up! The last few months we have been working hard to improve the interior of xinfab to create a better invironment for the makers! we are extremely happy about the progress and invite everyone to come and have a look themselves! Remember! Wednesday evening open night at our neighbours Xinchejian, its a great opportunity to see some great presentations and see what they are doing and to come have a look at our place. After the visit of the Minister of Technology also the Mayor of Shanghai came to visit us! It was amazing to have a chance to meet the Mayor and show him our space and get his support! Last week the Minister of Technology from China visited us at Xinfab, we feel very honered to meet such an inspiring and supportive person for the maker community.